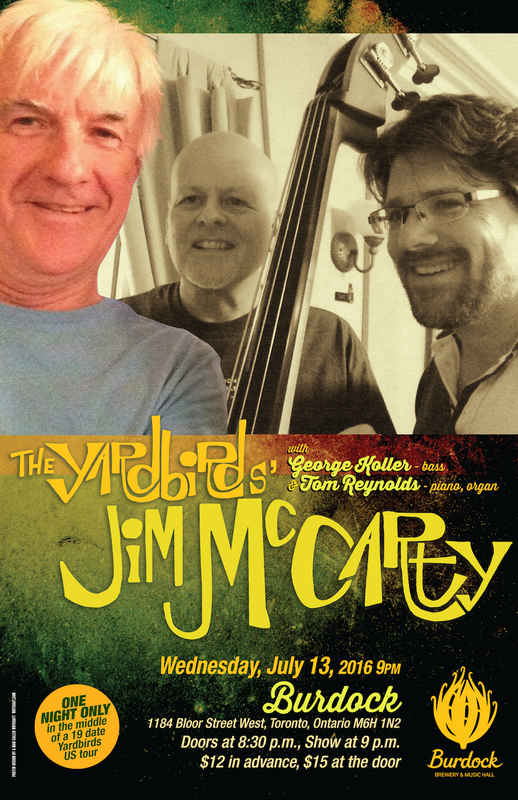 I’m delighted to announce that I’ll be doing a solo show in Toronto in the middle of our 19 date Yardbirds tour. Joining me will be George Koller on bass and Tom Reynolds on piano and organ. Hope to see you there!